This superb 4-day tour features some of the best country inns and manor houses in Sweden. 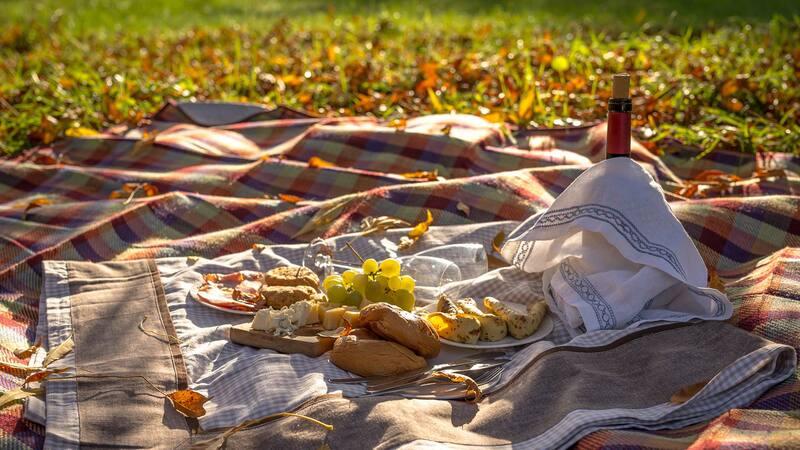 Not only will you be treated to a unique culinary experience with fresh local ingredients, you will also have free time to explore interesting attractions as you drive through the Swedish countryside. Arrive to Arlanda Airport in Stockholm and pick up your rental car. 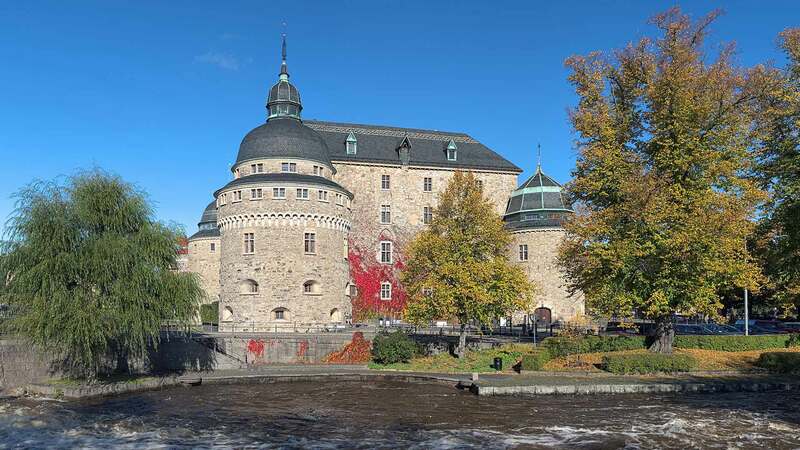 As you drive towards today's destination, the small village of Grythyttan, we recommend a stop in Örebro to visit the 14th-century Örebro Castle and walk around Wadköping, an open-air museum with structures from the 17th, 18th and 19th centuries. 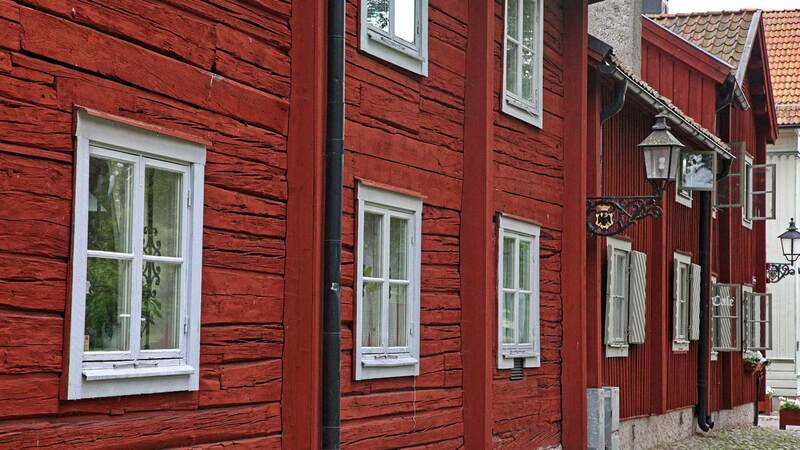 Your first overnight of this tour is at Grythyttan Inn, the best known and most written-about accommodation in Sweden. The proprietor, Carl Jan Granqvist, has succeeded in combining beautiful, historical interiors and grounds, exceptional culinary skills and the highest standards of comfort in what is a flourishing hotel with a tremendous atmosphere. This evening, get ready for a culinary experience beyond the ordinary as you feast on a four-course dinner at the onsite restaurant. The kitchen at Grythyttan Inn is well known among the local foodie scene for its traditional Swedish cuisine influenced by tastes from other parts of the world. And whenever possible, they use fresh local ingredients, quite often from the surrounding forest. Spend the night in one of the individually decorated rooms at Grythyttan Inn. Driving distance approx. 270 km / 168 miles. Start the day with a generous breakfast buffet at the inn before heading towards Dalarna, the province known as the most Swedish of them all. For one last gastronomic memory of Grythyttan, we recommend a visit to Neering's ice cream and chocolate shop for some world-class homemade treats while relaxing on their sunny veranda. It's never too early for dessert! Then continue to Syrholen and your next overnight destination, the Dala-Floda Inn by Lake Flosjön. Here you will find a peaceful place to stay in scenic surroundings with red timber cottages. This small hotel is labeled with the Nordic ECO-label, the Swan, which indicates that it follows a rigorous and certified long-term environmental program throughout all of its business operations. Tonight you can look forward to another delicious four-course dinner, comprised of organic vegetables, meat and fish. The inn has a KRAV-kitchen, which is a Swedish certification for organic food. As a member of the Swedish slow-food movement the food is sourced mainly from local producers and prepared by traditional means, such as baking in the wood burning oven. Spend the night at Dala-Floda Inn; each room is decorated in different styles based on the history of the inn. Driving distance approx. 130 km / 81 miles. 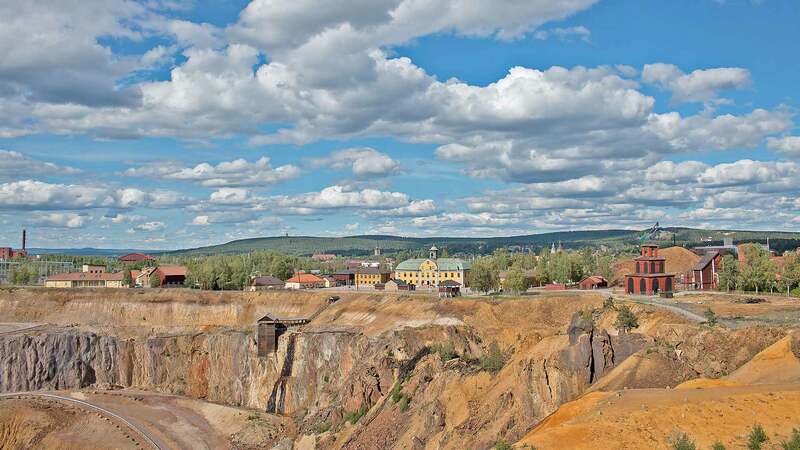 Enjoy a nice breakfast before starting your drive towards the World Heritage City of Falun, where we recommend a guided tour at the Great Copper Mountain, taking you to depths of 60 meters in the enormous old copper mine. For another short but interesting detour, head to Big Hyttnäs in Sundborn for a perfect example of how Swedes lived 100 years ago. 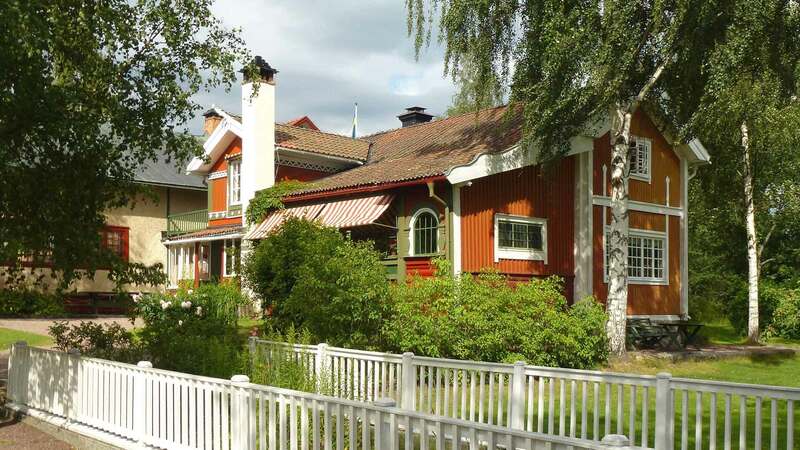 Here you will also find a museum dedicated to the well-known Swedish artist Carl Larsson. From there, continue northwest towards the charming village of Tällberg, beautifully located by Lake Siljan. 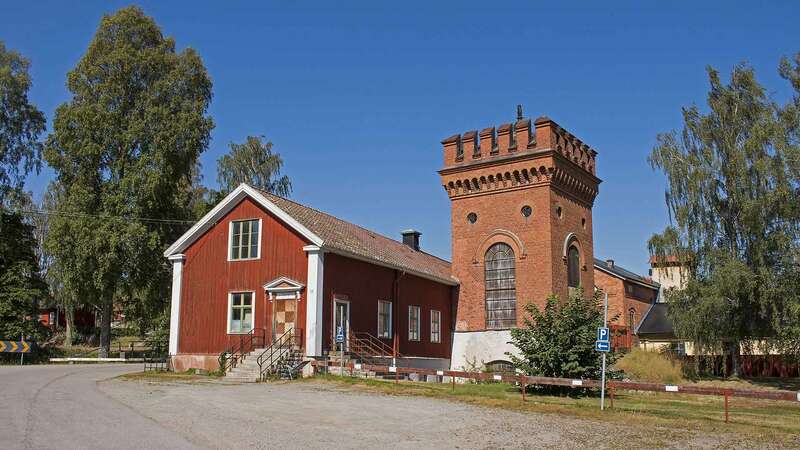 On the way, those with Swedish ancestry may wish to visit the Dössberget Heritage Museum in Bjursås. Its scenic location on a hill and the great lunch menu will still appeal to those without Swedish roots! 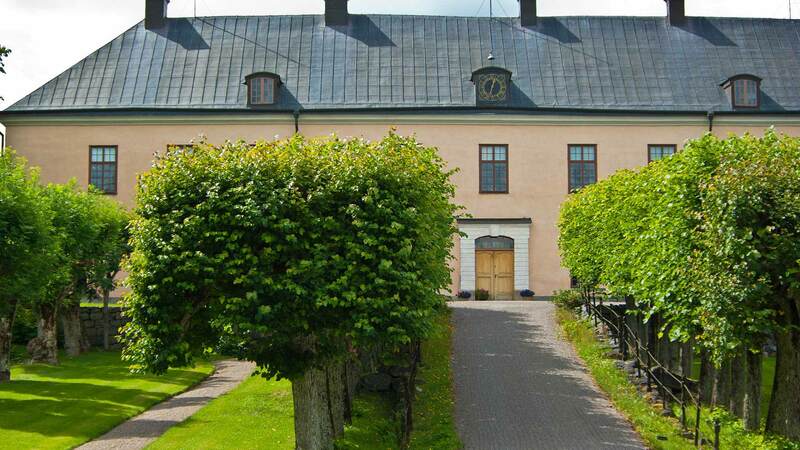 Your destination this evening is the elegant Tällberg Manor House in Dalecarlia. Since the 1800s artists and writers have sought inspiration along the shores of Lake Siljan in this idyllic town, and it's easy to understand why once you're here. The manor house, known for its excellent service and warm atmosphere, has a long history filled with the traditions and ambience of the Dalecarlia region. This rich heritage is reflected in the three-course gourmet dinner you are served this evening in the dining room, complete with a fantastic view of Lake Siljan and the distant blue hills. Spend the night at Tällberg Manor House in a well-appointed room. Driving distance approx. 115 km / 71 miles (With detour to Sundborn and Bjursås approx 145 km / 90 miles). After breakfast, start your drive back towards Stockholm. Depending on the time of your flight there are several interesting stops on the way. 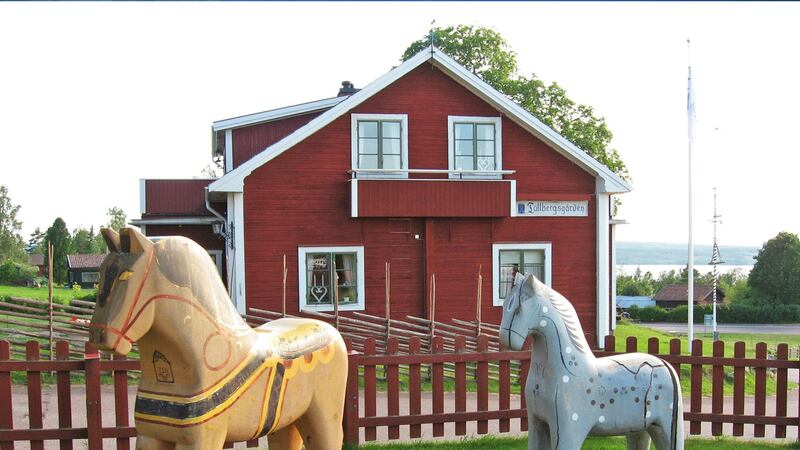 One option is Avesta, where you can see the largest Dala Horse statue in Sweden. This is the perfect stop for a fun photo opportunity and a snack at the nearby café. Continuing south, you can take a guided tour of the old silver mine in the town of Sala or visit the mine museum, the police museum or several handicraft shops in the area. Around the town of Enköping there are also many interesting sights, including the Grönsö Castle, several medieval churches and a number of Viking age rock carvings. On arrvial to Arlanda Airport, return your rental car and check in for your departure flight. Driving distance the shortest way approx. 265 km / 165 miles (With detour to Enköping 280 km / 174 miles). Everything was well prepared and organized. The rental car and accommodations exceeded our expectations.The dinners were wonderful and the hotel hosts were very welcoming and friendly. Cecelia was always available to answer questions. We had a remarkable time and the tour and also reserved extra accommodations for us as we didn't start the tour at the Arlanda airport but came by train from Gothenburg. We were so pleased to have travelled through the Swedish countryside and this was the best part of our time in Sweden! Countryside hotels: Rooms with private shower or bath and WC. These are in selected countryside hotels carefully chos..
* Some of the museums and attractions might only be open during peak season and on specific weekdays; contact us for details.